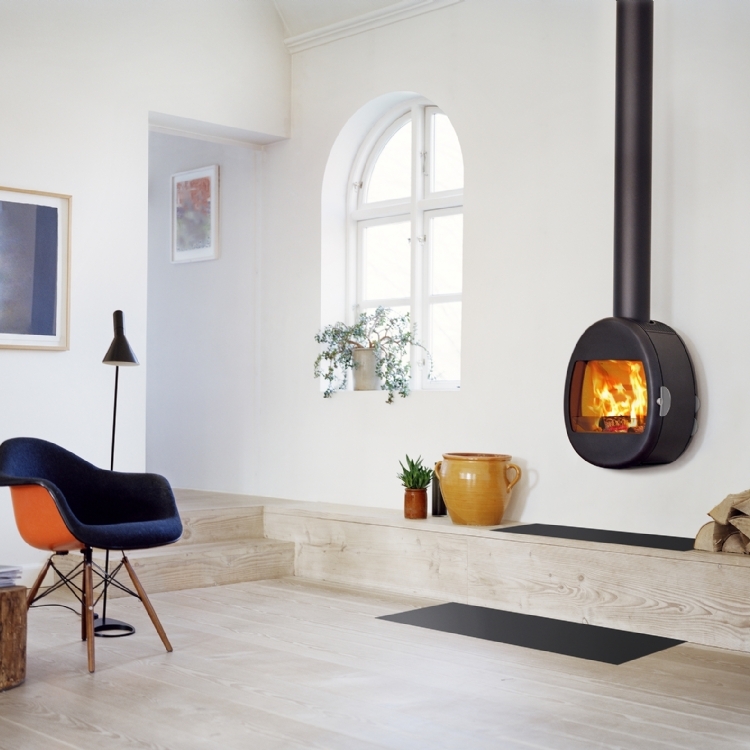 Scan 66-2 woodburner in Truro wood burning stove installation from Kernow Fires. 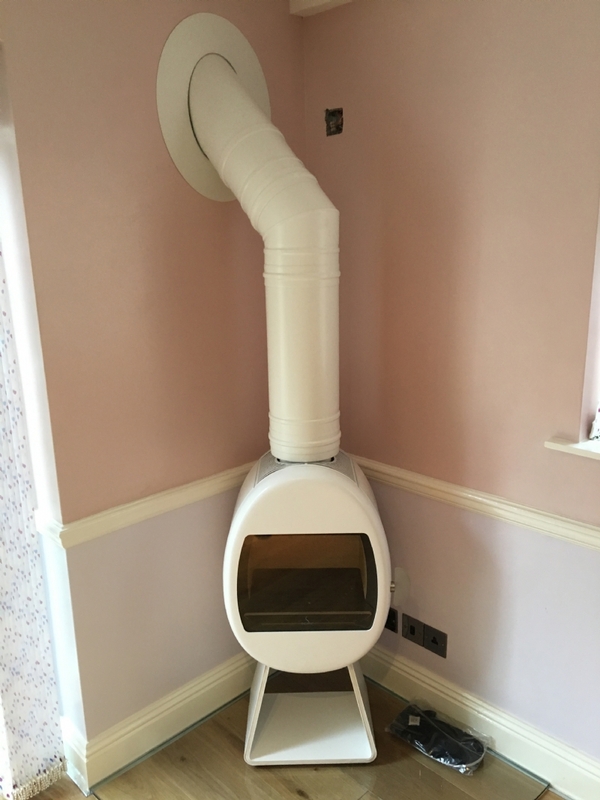 Customer Requirements: Twin walled flue to exit through the side wall. 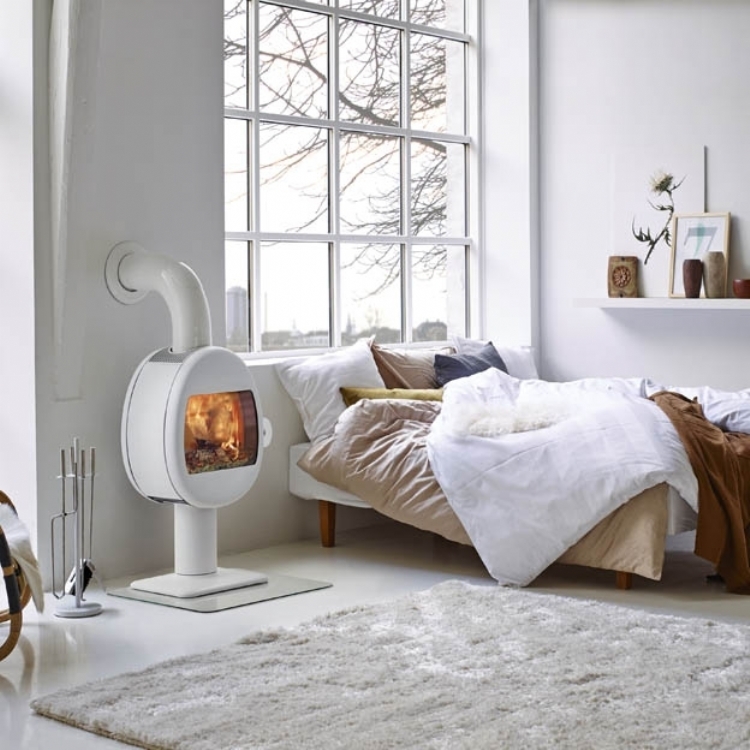 This is definitely unusual and unique! 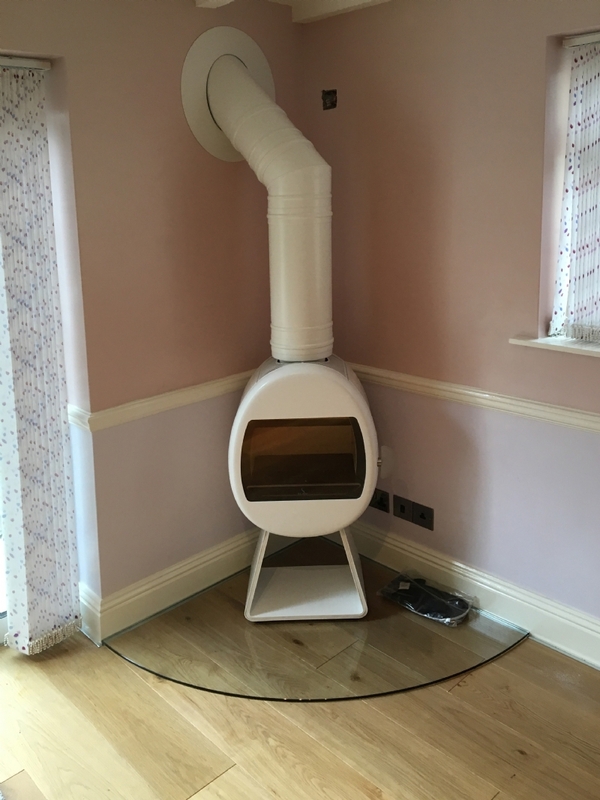 The Scan 66-2 in white sits on a bespoke glass hearth and the twin walled flue is painted to match the fireplace.